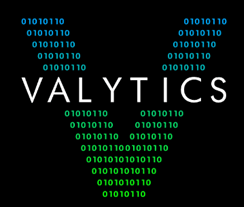 Valytics LLC, a Women-Owned Small Business founded in 2002, specializes in providing testing and data management services to numerous federal clients. Valytics understands the challenges and need for continuous quality improvement throughout the System Development Lifecycle. Our test teams play active and dynamic roles by providing penetrative feedback, requirements documentation, engineering investigation, proactive test planning, test automation, risk assessments, and other critical functions. Valytics’ streamlined, low-overhead organizational structure allows us to deliver exceptional value to our customers. Our active and ongoing process improvement program empowers employees at every level of the company to generate new ideas that yield better outcomes for our customers over the full life of our contracts. Valytics encourages continuing education and research. Check out a few of the infosheets below written by our colleagues about our various testing methodologies. Thanks for your interest in Valytics LLC. For more information, please call (703) 575-5050, email info@valytics.com, or complete the form below.